Food startups are the new, new thing in the San Francisco Bay area. Many of them have received millions of dollars from ventrue capitalists. We spoke with Matthew Sade of Kite Hill about their plant-based cheese made from almond milk. Sade shares how they came up with the idea to make cheese from almond milk using traditional cheese making methods. Vegan cheese is one way to describe Kite Hill’s cheese that was made possible by the research work of Dr. Patrick Brown, a well-known geneticist at Stanford University. Kite Hill’s founders are Tal Ronnen, Monte Casino and Dr. Patrick Brown. The company raised money from investors, including Khosla Ventures. These are interesting times in the San Francisco Bay area when it comes to food and technology innovations. We spoke to 3 different entrepreneurs from the food and wine industry to find out about their journey. In this video we bring you highlights of our interviews with Mathew Sade of Kite Hill, who shares how their startup has created cheese out of almond milk and how they got the idea to do this. Trial lawyer Theodora Lee shares her story of how and why she became a winemaker in Northern California’s Mendocino county. And Hasnain Zaidi shares why he left his job at high-end consulting company and travelled to Silicon Valley to become part of Tava Indian Kitchen, a food startup that just landed their Series of $4.5 million. These interviews will air in various TV stations in San Francisco Bay area. You can watch them on my YouTube channel. Food is a wonderful way to explore and understand the cultural hertigate of community or a country. And that is precisiely what a new 6-part series on food called Lucky Chow does. The series debuted at this year’s Center for Asian American Media (CAAM) film festival. I watched a couple of episodes during the festival and was hooked as I watched Danielle Chang travel across America and explore and show us how Asian cuisine has permeated the nation’s food network in all sorts of interesting ways. Through the food stories we also learn about the culture, history, cuisine of various Asian communities and their journey to America. Lucky Chow is currently showing on KQED in San Francisco bay area. IS AMAZON OPENING A STORE IN SILICON VALLEY? Is Seattle-based Amazon opening a store in Silicon Valley? It seems that just be the case according to this article in Silicon Valley Business Journal. While Amazon has not confirmed this news, the paper reports that there is a new building coming up in Sunnyvale and that Amazon could be one of its “likely tenant.” The new building is coming up on 777 Sunnyvale Saratoga Road, which is not far from El Camino Real, the long stop and go street that snakes from San Francisco all the way up to Santa Clara and beyond. This is a central location in Silicon Valley and not far from the various bedroom communities that dot this area. Amazon is apparently developing a new drive-up concept for its store in Silion Valley. Drive-up and online delivery services have been slowly making their way into various places in Silicon Valley. There is Google Express,where you order and Google drops off your shopping order the same day. The delivery is free if your order is over $15. There is a $10 membership free for Google Express, but you try it for free for 3 months. Certainly there is a lot happening in the retail space when it comes to helping customers grab their shopping and go. A couple of months ago I spotted a new concept at a local Target store in Silicon Valley. As I drove into the parking lot I was distracted for a few seconds by folks standing by the curbside with a line of bags and the powder blue logo. This is the new pick-up your shopping by the curb side concept and I am guessing this solution is from Palo Alto-based Curbside. I have not veified if it was Curbside that just landed $25 million in funding in June. Today we have lot of options on how to shop and save time in Silicon Valley. Why is it then I see long lines in various stores despite all these options? I wonder why? I wonder if some of us are reluctant to go subscribe to these online services because of our concerns about all that data being collected and dumped into that huge cauldron called big data? It was 26 years ago that the San Jose jazz festival began and today it has morphed into a 3-day festival. This year’s San Jose Jazz Summerfest (Aug 7-9, 2015) will feature over 100 performers spread across 12 stages spread across 12 blocks in downtown San Jose. It is not just jazz that you get to hear during the festival, but soul, funk, blues, salsa, zydeco and other genres of music. We spoke to Bruce Labadie, the art director of San Jose Jazz Sumemrfest, who was also part of the original group that started the jazz festival. Labadie shares what you can expect to see at this year’s jazz festival. We also spoke to him about his work at Mountain Winery and Montelvo Art Center, both are located in Saratoga. He has worked with hundreds of artists in his 40 year career and shares some intereting anecdotes about Ella Fitzgerald, Benny Goodman and BB King. Medallia, a Palo Alto-based company raised $150 million yesterday and became the latest member of the Unicorn club. Unicorns are companies whose valuation is over $1 billion. Medallia’s valuation was over a $1 billion according to Borge Hold, CEO of the company. The latest round of funding was led by Sequoia Capital, which participated in previous rounds of funding This new tranch of fund will be new products and tools and to expand their global footprint. Currently the company has 700 employees. The company has raised a total of $255 million so far. Medallia was founded by the husband and wife team of Hold and Amy Pressman. Both are Stanford alums, who worked for Boston Consulting Group before starting Medallia in 2001. The company’s focus is on customer feedback. 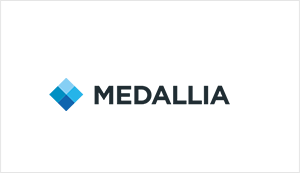 Medallia helps capture unstructured customer feedback from various devices and platforms and their softward helps improve the customer experience for clients like Four Seasons, Macy’s, Wells Fargo and others. You changed my world and that of millioms of people with your own, unique brand of humor. You brought us laughter, happiness and joy and made our day a little brighter. You are probably having a great time with your mentor Jonathan Winters right now. 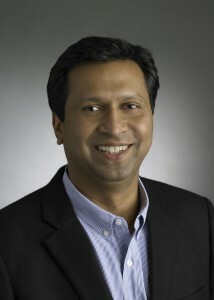 Abhay Parasnis is the new Chief Technology Officer of Adobe Systems. The San Jose-based company announced today it has appointed Parasnis as their new CTO and senior vice president of platform technology and services. Kevin Lynch was Adobe’s previous CTO, who left the post 2 years ago to join Apple as Fortune reported. Lynch helped launch Adobe’s Creative Cloud initiative. Parasnis’s focus at Adobe will be to integrate its three cloud services – Creative Cloud, Adobe Marketing Cloud and Adobe Document Cloud. “Our cloud platforms are the foundation for our next phase of innovation and growth as a company, and Abhay is the ideal candidate to lead this initiative,” said Shantanu Narayen, Adobe’s president and CEO. Prior to joining Adobe Parasnis was President and Chief Operating Officer (COO) of Kony, a cloud-based enterprise solutions company. Parasnis has worked with Oracle, Microsoft and IBM. He has a bachelor’s degree in electronics and telecommunications from the College of Engineering Pune, India. You can read more about Parasnis and why he joined Adobe here. Meet Mr. Garlic aka Gerry Foisy. For 28 years come rain or sunshine you will find him at the annual 3-day Gilroy Garlic Festival. His wife, Jeanne put down his name as a volunteer and ever since then he has continued to play Mr. Garlic dressed in his trademark garlic bulb suit topped with a “Garlicky” hat. We spoke with him and his wife to find out what drew him to the festival and why he continues to volunteer. The 37th Gilroy Garlic Festival is on July 24-26, 2015. For ticket and information visit their website. 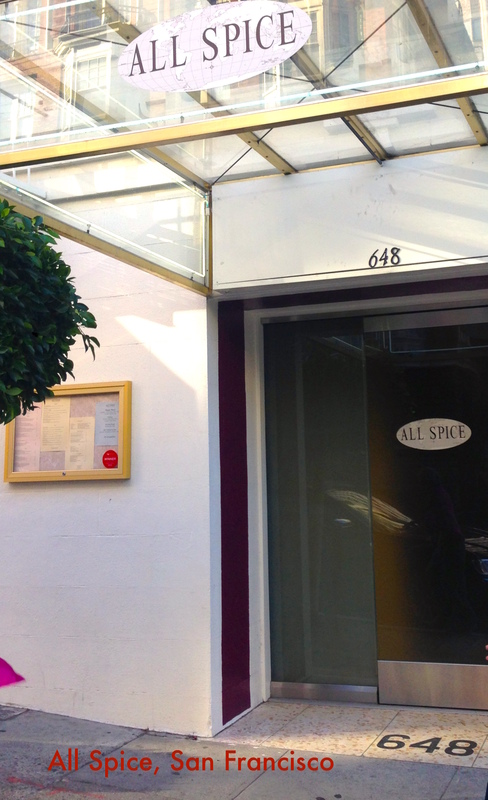 All Spice is an elegant restaurant located in the Nob Hill area of San Francisco. The brainchild of Chef Sachin Chopra and his wife Shoshana Wolff, it is not your everyday Indian restaurant as its name might lead you to believe, but one that serves New American Exotica – and, believe me, there comes a surprise with every dish. The couple’s original concept was a restaurant called Game serving mainly game meats. But finding the full expression of Chef Chopra’s talents curtailed, and in true Silicone Valley entrepeneurship spirit, the couple did a quick pivot and re-opened as All Spice, the San Francisco branch of their flagship restaurant located in San Mateo in the Peninsula.A few months ago I got an invitation to visit the restaurant. Finally, a couple of weeks ago I visited the restaurant with a friend. The minute we stepped through the doors we were greeted warmly by Shoshana who showed us to our table and provided us with copies of, both, the tasting menu and the regular menu.